On October 27th, 2012, on live television, running back at the University of South Carolina Marcus Lattimore suffered a horrific on-field knee injury that he would never fully recover from. Lattimore was one of those once in a lifetime talents, but in one play, the football career Lattimore had built his entire identity around all but disappeared. Seneca often said that the growth of anything great is a long process, but its undoing can be rapid, even instant. For Lattimore, it was instant. Such a devastating injury could have sent him down a spiral of rage, anger, sadness, and grief. It could have been the last we heard of Marcus Lattimore. But it wasn’t. Instead, he went back to school to earn the degree he promised his mom he’d get. He started a foundation to help athletes who have trouble paying for treatment and rehabilitation for major injuries. And most recently, he returned to his alma mater as the director of player development, mentoring student-athletes for life after football. Lattimore hasn’t spiraled. He’s thrived. And his impact now quieter but far more powerful than it would have been in the NFL. In our interview with Lattimore below, he discusses that horrific injury and why he wouldn’t change what happened, his discovery of Stoicism, how he’s applied it on his journey of self-discovery, and much more. 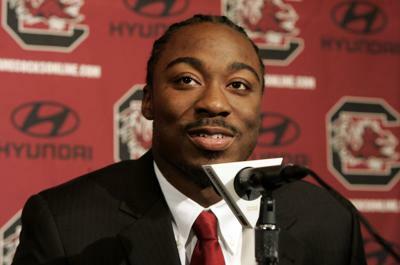 Please enjoy our interview with Marcus Lattimore! You’ve tweeted quotes from Seneca and pages from The Obstacle Is The Way. Can you tell us about your first exposure to stoicism? How has your study progressed since then? I had no understanding of what Stoicism embodied. I bought both The Obstacle Is The Way and Ego Is The Enemy because the titles were very appealing and the covers were beautiful. Great marketing by the way! As the weeks go by and I consume as much content as I can from these books, I noticed my behavior change. The life lessons were so humbling and revealing to me that the only way I can describe it is having some type of revelation in life. This started me on my journey of self-discovery which I previously had no knowledge of. Which one of the Stoics is your favorite? Do you have a favorite Stoic quote you think of most often? Marcus Aurelius’ quote “Just that you do the right thing, everything else will take care of itself.” This quote speaks to the manifestation of my life. I’ve made mistakes countless times but I always valued respect and kindness. Those are two things that we all can agree are great virtues to have. I am in a great position in my life now because my high school football coach instilled in me that those two things are non-negotiable in life. He was a great example. Every. Single. Day. Most people would probably not think that elite athletes would have interest in studying philosophy—let alone ancient philosophy. Why do you think it’s important for athletes and coaches to read? To push themselves to learn these lessons from the past? When something like sports gives you the fulfillment that it did for me; you unconsciously take on this idea that your sport is who you are. The game becomes your identity as a human being. This is dangerous because your body does not agree with that theory. When your sport comes to an end abruptly and you have no identity. There is really no valid reason to live. Success can be a cruel addiction. Numerous people spend their whole life chasing a high that will never compare to that of competition. Reading gives you a sense of liberation I had never felt. Coaches and athletes should read not only because you gain more knowledge, but because of how it improves your focus and concentration which are two key attributes if you want to be great. You know a thing or two about adversity yourself. But you’ve said that even after that gruesome injury that altered your playing career, you wouldn’t change what you’ve been through. Explain why that is? Immediately after my injury, I did not have this outlook. What transpired on October 27th, 2012 changed me forever. I was confused, angry, sad, and felt betrayed by my first love. I followed the blueprint. I worked hard, kept my mouth shut, and respected my coaches. The more I detached from the situation and gained a higher perspective, the more I realized how much I had grown up and started looking at the positives. Without my knee exploding on television I would’ve never fully grasped the positive impact I had on people which influenced to start a non-profit. I would have never known who was really there for me. If you want to know your true friends go through adversity. I would have never started reading and I wouldn’t have the self-awareness I have today which I consider my most prized possession. You’ve returned to the University of South Carolina as the director of player development. Given your own experiences as a player, what do you find yourself teaching these athletes most often? What are the themes you end up returning to most often? Student-Athletes do not care who you are or what you know until they know how much you care about them. When you have their trust, which takes time, you can focus on the logistics. We talk a lot about taking advantage of the opportunities and privileges you have as someone being part of a multi-million dollar operation. They are known and celebrated for sacrificing their bodies for entertainment. Making connections, networking, and using your “celebrity” to do good for the University and yourself. If you come to college and only gain a better understanding of football, I’ve failed. One thing philosophers and athletes all have in common is rituals and routines. Can you tell us about yours? What’s your day look like? I wake up at 6:30 like clockwork. My bed has to be made. It just feels right. I throw the tennis ball with my dog for about ten minutes and then I am off to work. I get to work and I do the following in order. Eat, Read, Email, and workout while constantly drinking water throughout the day. After practice is over I have individual meetings with student-athletes and then office hours are open until staff meeting at 4:00 pm. I have an alert on my phone to meditate at 6:30 pm for ten minutes. I try to stay away from meat throughout the week. These Netflix specials on diet are killing my desire for meat. 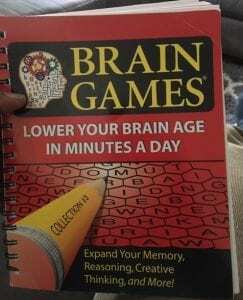 And I do at least one brain game a day for my daily routine. I’ve had 7 undocumented concussions and I knew that this would help my brain repair some of the trauma from playing ball. Could you leave the Daily Stoic community with one message or piece of advice? It could be a question to journal on, a philosophical practice to try, or just something to think about as they go about their day. Everyone that we encounter until we leave this earth is a product of their environment, circumstances, and habits. We think we are in control of our life but who we are and our behavior in life is just a manifestation of those three things mentioned above. People are the main sources of our problems and turmoil in life. Human nature is a very serious topic that is overlooked and has completely changed how I view humanity. Everyone that we encounter has a reason for what they’ve become. Their behavior may look completely bizarre to us but inside their consciousness, inside this internal private movie that we conceptualize every millisecond, it makes sense to them. Don’t hate them, humanize them.